Colour me pretty - makeup class ! Tangerine offers complete mobile beauty, hair & makeup services around Auckland & beyond. Having a mobile beauty service means you can now get pampered in the comfort of your own home, workplace or hotel. 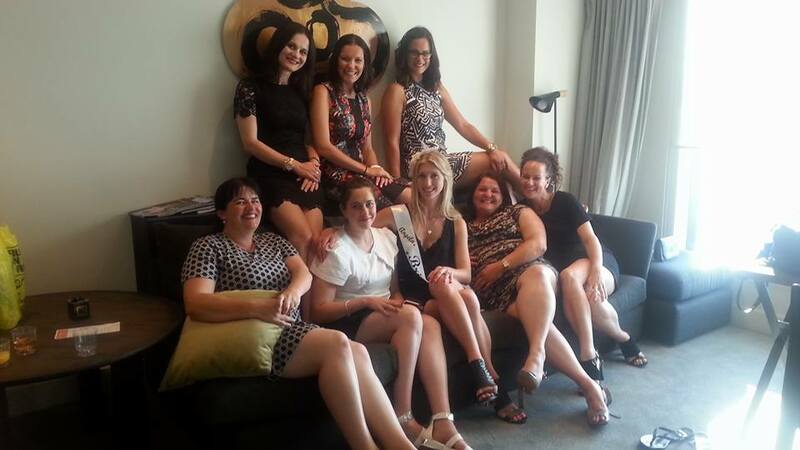 If you're a busy mum, or having the girls around ( 3 or more girls) for a hens night, birthday, special events, baby shower, engagement party, rest homes or a teen party.....for whatever occasion - you can count on Tangerine to take care of the luxuries or finishing touches you require. The team are fully qualified therapists, friendly and very passionate about the industry. Our Tangerine Pamper Parties start from as little as $25 per person and delivers a wonderful and relaxing experience for the guests with less fuss for the hostess. Just a note to thank you for coming with the mobile service at a really good time with all the right equipment, and making it really nice for all five of us girls during our hens party at my place. We all enjoyed it and it was very relaxing. Thank you so much for a wonderful Pamper Party. The girls were all thrilled with their nails and it was a lovely way to celebrate Sarah’s 13th birthday. They all loved having their nails done. I am not sure how long they will last but anyway, its an experience for them. We all love our tailor made tans. Jess thanks you so much for the champers. Thanks for the great spa party two weeks ago! it was a great start for the hen's weekend. Alecia and the girls are great! Thank you so much Alecia and team. Our little twinkle toes are feeling loved today and ready for summer. To help create the right mood for your guests light some candles and play some chill out music. Organise the payments before hand making sure everyone has their right amount of cash for their treatments. Please make sure that the venue has running water, adequate heating and cooling, and access to electricity, and ensure that there is adequate lighting provided to enable a fabulous polish. We will arrive 30 minutes before the start time and we provide everything that is needed, and clean up before we leave. * For less than 4 people there is a minimum call out fee of $80.00 ( except spray tans), and are normal menu prices. * For spray tan parties only there is a minimum 4 girls required. * Travel time within 3km radius from Greville Road, Browns Bay is FREE of charge. Travel costs do apply to bookings further than the set radius @ 0.90c per km each way, which is calculated using the travel times on http://maps.google.co.nz plus any parking fees are added to the total of the bill. * Please inform the ladies of Tangerine if you are pregnant or have any allergies to essential oils, nuts or have sensitive skin. ​The remaining invoice must be paid at the end of treatments. Please make sure that all guests have the right amount of change.